Our freeware application Ugrib allows instant and fully customizable access to global weather data. 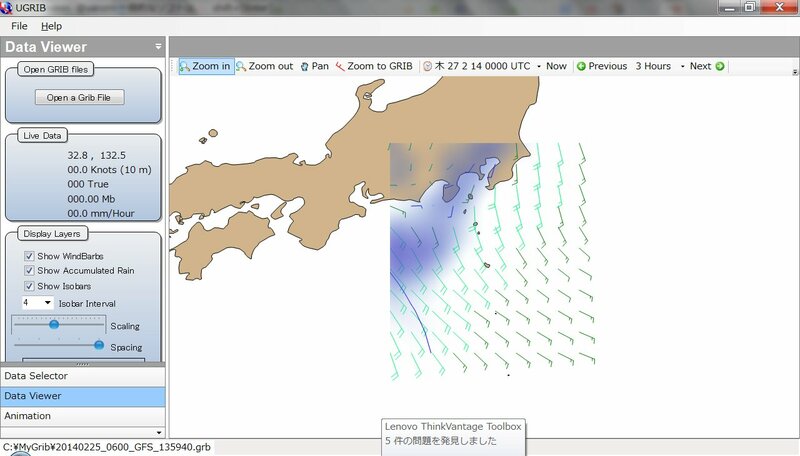 Within one simple to use interface you can download and view weather data right on your desktop. Download your completely free copy here! 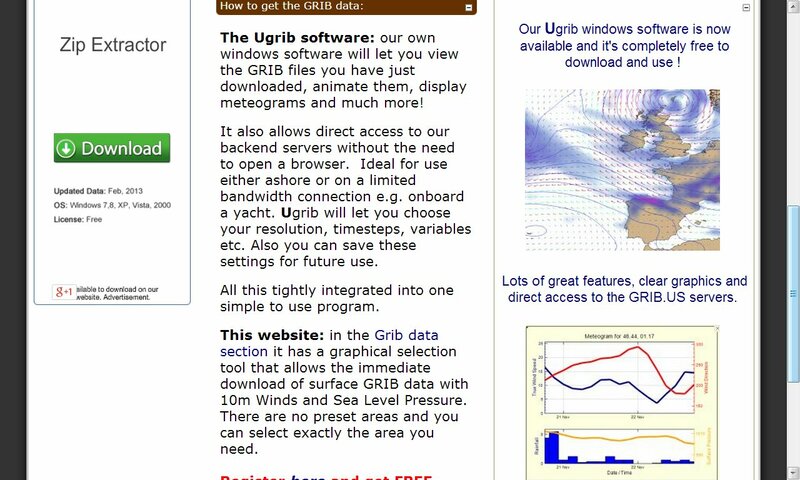 The Ugrib software: our own windows software will let you view the GRIB files you have just downloaded, animate them, display meteograms and much more! It also allows direct access to our backend servers without the need to open a browser.